When I still lived in Amsterdam I worked here for a short time. The location is perhaps a little touristic but it’s very central and the bar is fantastic. 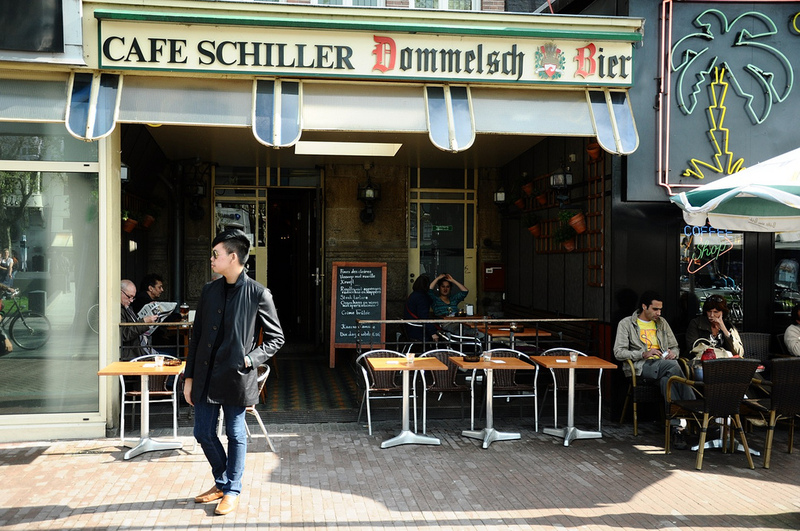 Cafe Schiller still has it’s original decor from late 19e century; Art Deco. A lot of writers, poets, comedians and actors come here to talk about art, music and politics and to have a beer after they gave or visited a show at ‘De Kleine Komedie’ which is a small theatre just around the corner. On top of all this they have a fabulous cook. Daily they have 5 ‘cafe-dishes’ on the menu which includes original Dutch dishes. They also offer some great fine tasting choices so there is something for everyone.